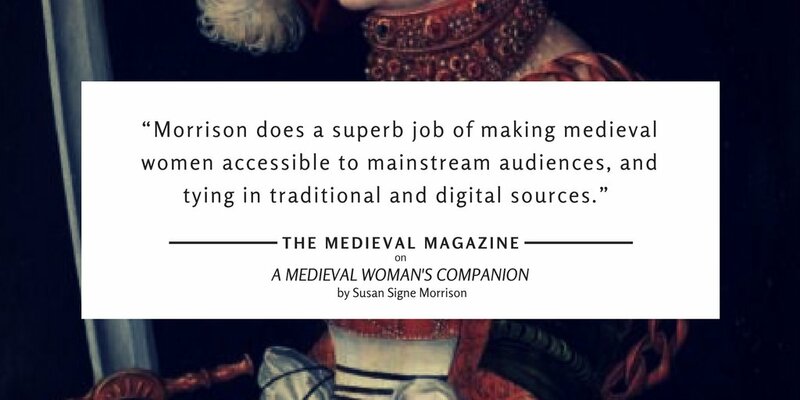 This website, A Medieval Woman’s Companion, tells the stories of many women who lived in the Middle Ages. 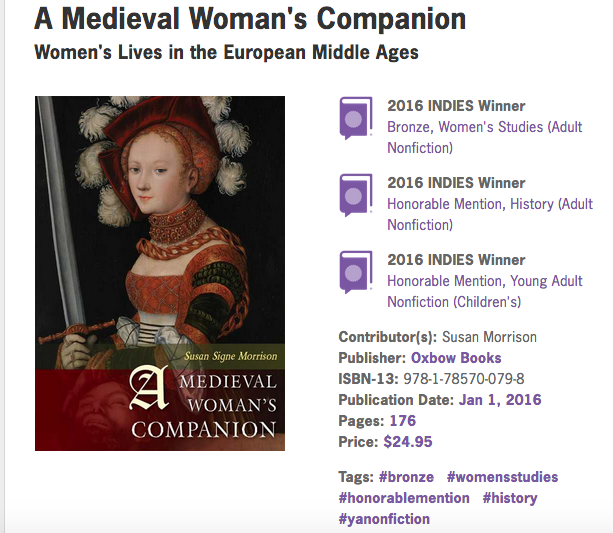 Supplementing the book A Medieval Woman’s Companion: Women’s Lives in the European Middle Ages by Susan Signe Morrison, a history book for high school and college students, as well as the general public, the site and blog provides information about the Middle Ages from the point of view of women in society. You’ll also learn about various aspects of medieval society, including queens, education, manuscript culture, attitudes towards women and the body, and many other detailed aspects of the world in Western Europe from 500-1500 CE. I hope you’ll enjoy this website and blog. It’s meant for teens, young adults, and newcomers to explore, learn, and share. Read more about the book and the award here. Honorable Mention in Adult Nonfiction and Young Adult Nonfiction. 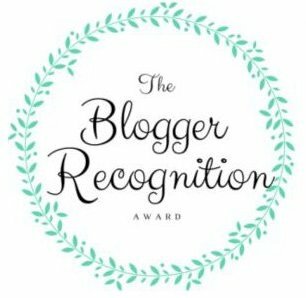 This site has received the Blogger Recognition Award.